Finally the new online store is online and operative. Stock units may be a little limited as I had to start from zero making as many units as I could with the material I had. Material keeps coming so I am looking forward to have a better control of the stock with the time. Two things I like to mention are; on Monday it is local holiday here, therefore postal offices will remain closed, however, orders will be prepared during this time without problems. The stock for the livery decals will be a little limited at the beginning because Rob is currently changing his workplace, so printing will be resumed upon settled in the new location. The aim is to restock the livery decals on August. If anybody finds an issue with the store, please feel free to write me a message. I would like to thank all for the patience, it hasn’t been easy but I did my best and hopefully the store will have new items soon. I also hope the store is of your liking and that you can navigate through it sucessfully. 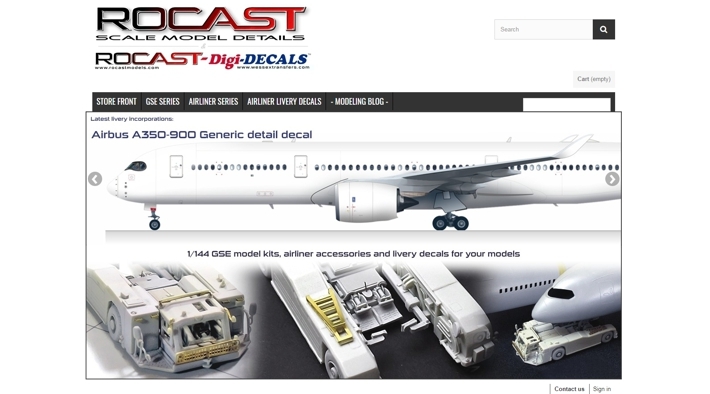 I am glad to announce that I have finished the A350 and with this, a guide I am writing on painting and decaling, giving some tips to avoid the errors I made in past models, and also glad to announce that tomorrow I will publish the new online store here. Hopefully all will work well, it has been a long time to prepare everything, test everything, so I am really hoping that all will go well. There is still some material on its way, so once I receive everything I will be adding stock to the store in due course. Thanks to everybody for your patience! This A350 shows one of our A350 liveries that will be in our catalogue very soon. I would like to thank Rob at Wessex Transfers for his trust and skills to print these livery decals that I’ve been working on for such a long time, this will be one of the first of many to come under our brand name Rocast-Digidecals. This will probably be my last post until I can have more stock units of the several items. As this takes a lot of time, I won’t be uploading the site with news about the other projects since I will be working with the stock also on the weekends. People ask me about these items but I can’t really give a clear date, all I can do is just keep on going and doing as much as possible everyday. The main thing is that last stock units were sold faster than I expected, thus most of items ran out of stock again (in the old store). For this reason, the online store is still not available because it would be meaningless to have it open without anything in it. 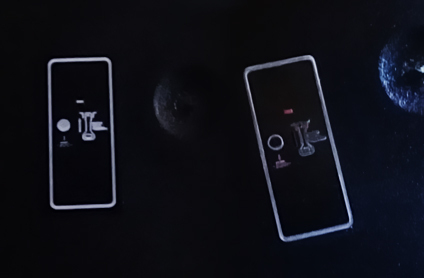 After I finished the new molds, I am making the models that gave more trouble in the past, which is what I’ve been doing during the last week and that thanks to the new molds, I can produce a little bit faster. These days I am working on stock units of the catering truck, the AST-1 pushback and the cargo loader at first, then once I have a little bit of most of the GSE items, I will publish the new store. There are more decals for these trucks on the way from Wessex Transfers, so I am also hoping to put available the A320Neo PW engines with their decals. With all this work, I only have time to think what I would like to do next, what steps to be done further with the 747-8F cargo deck set as well as the 737NG cabin. I just want to mention that I am studying the possibility, since I am working with the 747 freighter fuselage, to give several options in order to convert either Revell’s 747-8i or Zvezda’s 747-8i into 747-8F and also into 747-400F and 747-400BDSF / BCF. I have gathered information and references and I can see that the 747-400F and 747-8F deck are similar, but the -400F deck would be shorter. 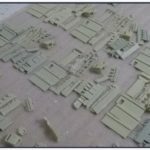 Having a Revell-Zvezda 747-8i that can be converted to 747-8F in which elements included would be: the nose section, the upper deck section and the side cargo door section. This may be worthless since Revell already produce a 747-8F, but for example, there may be more freighter aircrafts operating the 747 than the 747 passenger type. Thus having a Zvezda kit would allow for this transformation. Having a Revell-Zvezda 747-8i that could be converted into 747-400F, for which elements included would be: nose section, uper deck section, side cargo door, and other elements such as winglets and flap canoes, etc to go from the -8i variant to the -400F. Also a specified descrpition on where to cut the fuselage to make it shorter, stabilizer modifications etc. 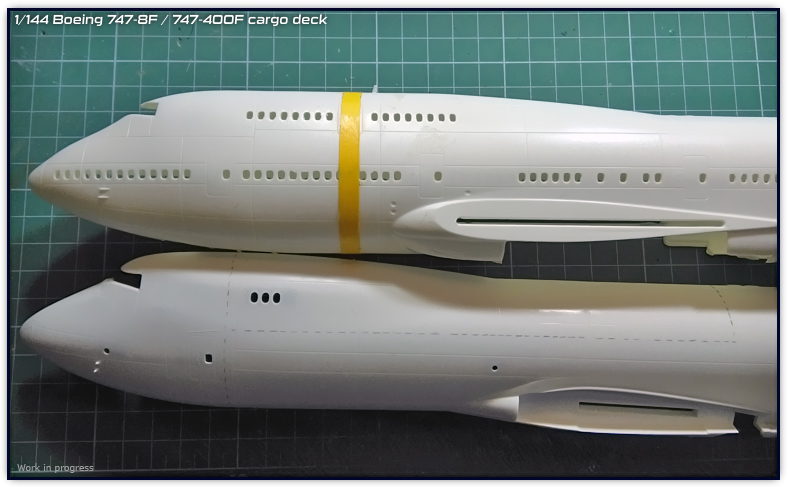 Having a Revell-Zvezda 747-8i that could be converted into 747-400BDSF/BCF in which case all the elements of the point mentioned before would be included except the nose door as these conversions (BDSF and BCF) do not include such function on the real airplanes. Having a Revell 747-8F (or a future Zvezda 747-8F?) for which elements included would be the nose section and the side cargo door section (as well as the main cargo deck, like in all other possible variants). I know there is more and a lot to be considered in the previous statements, but since I am going to cut the fuselage, I think is worth to have other options, and I would like to design decals for freigthers and converted freighters. Me, personally, I do like the 747 freighters, maybe just a bit more than the passenger versions, the fact that there are no passenger windows on the fuselage, makes this a better canvas to show the airline logos and different designs. 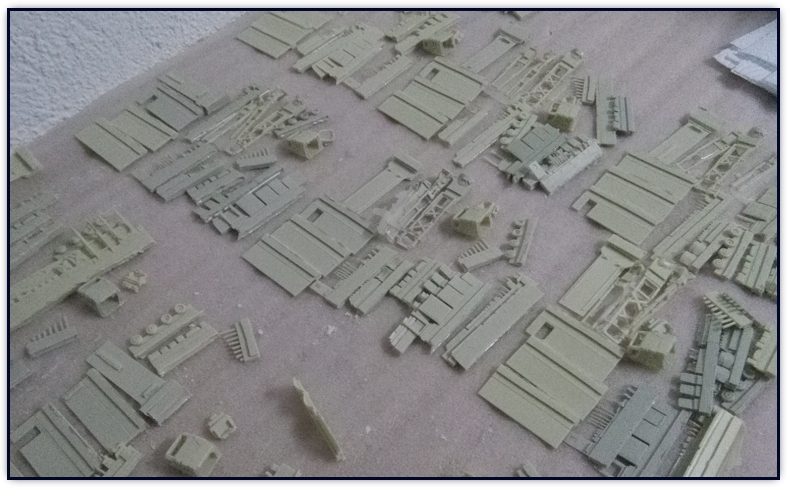 I do not know if this cargo deck set will end up being a trans-kit, but while I am preparing the stock units, I will be thinking about it. When thinking about freighters, I do also have in mind the 777 conversion as well, which at first, should be smaller work than this one with the 747. 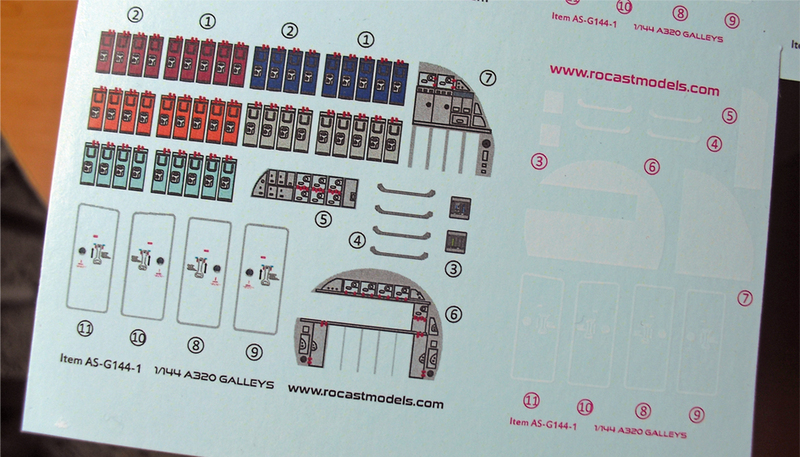 Below photo shows an old Revell’s 747-400 kit from which very little to nothing I can use, except to check the panel lines and compare the lenght of the -400 and the -8 variants. Below the 747-400, the 747-8F model with the new cut lines drawn, decided to go with the cut after the L1 door in order to make this door open to show the ladder accessing to the flight deck. This may make possible to make the first section of the deck to be attached inside the nose section, and divide the rest of the deck into two sections (middle and aft). My points above mention the conversion of the Revell-Zvezda 747-8i into the freighter variants, but I haven’t specified about the conversions having/using a Revell kit. In my opinion, mosf of us airliner nuts we know about the deficiencies of the 747-400 Revell kit, so being the Revell-Zvezda 747-8i a better kit, I would assume these would be the base to go, and it is always possible to go from a Revell-Zvezda 747-8i into a 747-400, but that is another subject.